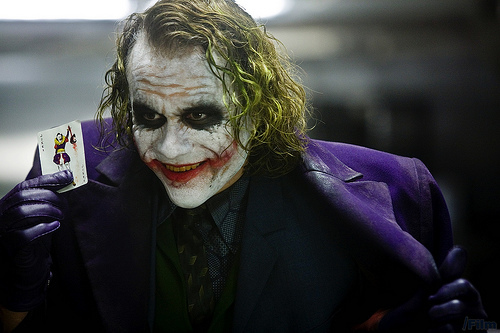 We had discussed previously the appearance of Heath Ledger's Joker in Batman 3: The Dark Knight rises and it turns out it was just a rumor. Christopher Nolan has confirmed that Heath Ledger will not have a cameo in the latest Batman film. shoot down reports that he'll resurrect The Joker by including unused footage of Heath Ledger's performance in the previous chapter. "That's all wrong," said the writer-director, who's also producing the next Superman movie, for Zack Snyder to direct. On a similar note, the rumor of Aaron Eckhart appearing in The Dark Knight Rises is also a rumor. 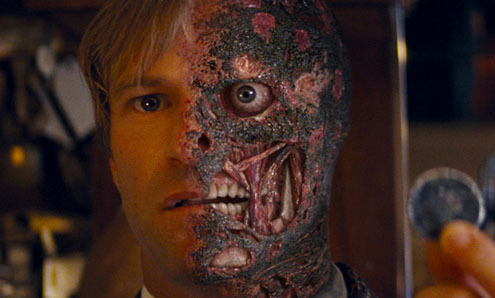 You can hear Aaron Eckhart confirm no Two-Face in The Dark Knight Rises HERE. So, what do you think? Are you disappointed The Joker will not be back even in a cameo? Wouldn't it make sense since Two face is dead that it wouldn't make sense that he returned anyway. Let us hear your thoughts. too bad they're out, since they're killer charecters. The joker, yes for cameo. Then again ,who's gonna fill in Ledger's shoes? Joseph Gordon-Levitt is a Heath Ledger look-alike and a damned fine actor to boot.